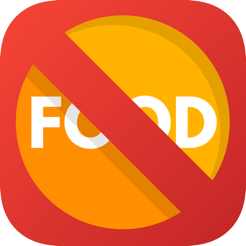 Can't Eat That is an app for food allergy sufferers. 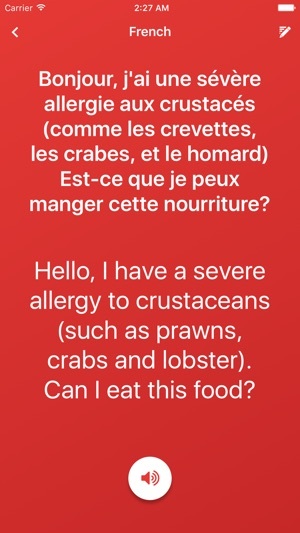 Simply purchase a language pack (you get French for free), choose the message you want to display and show it to your waiter. 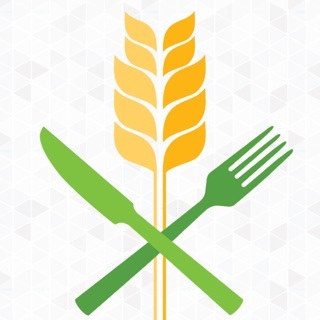 If you have a food allergy or intolerance and you worry about eating abroad or in new restaurants then this app can help provide reassurance and clarity. All of our translations have been provided by native speakers at a professional translations agency. All translations work offline - no internet connection required! This small bug fix release features the correct spelling of the word "celery". 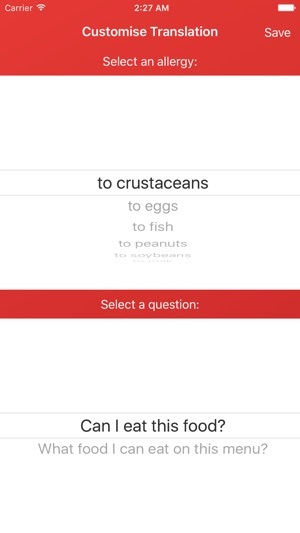 We're very excited to add 11 new languages to Can't Eat That in version 2.0! This is a very useful app. Lot of people have allergies with many things. 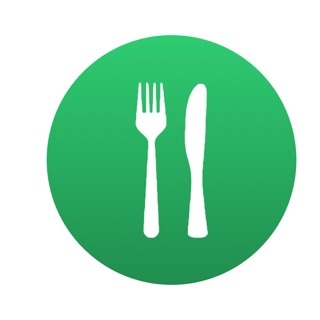 This app is very handy if you eat something and get sick. Thank you for your feedback! 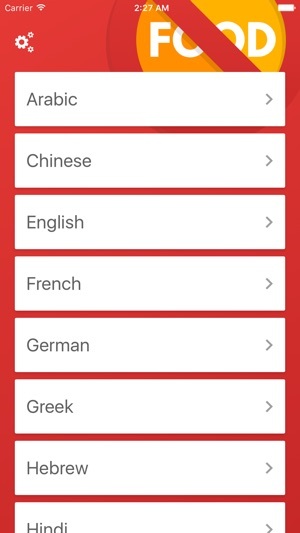 We've got more languages coming in a future update!